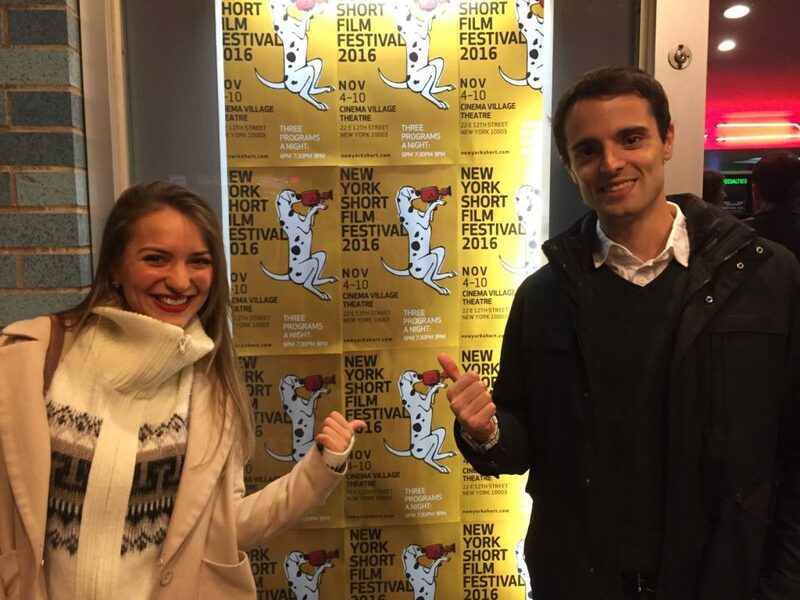 While many young artists flock to New York City from all around the world, few realize just how difficult it can be to break into the competitive world of “show business.” This personal and relatable struggle was the inspiration behind director Rodrigo Baumgartner Ayres’ film “Felices Acá En New York” (“Happy Here in New York”), which stars NYFA alumna Caroline Rosalino. Both Ayres and Rosalino met during their studies at the New York Film Academy and collaborated on the project soon after. 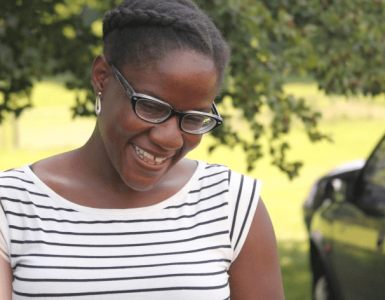 The film has been well received, having screened at eight film festivals and having been recognized with a “Best Actress Award Nomination” at the Queens World Film Festival. The film won a “Best Audience Award” at Indie Works and a “Best Actress Platinum” at NYC Indie Fest. NYFA caught up with the two alumni to discuss more about the film and their blossoming careers since graduating. Congrats on the success of your film! Can you tell us where you’re from, and what brought you to NYFA? CR: I’m from Brazil, but I also lived in Argentina for five years where I did my BFA in Acting, as well as working in their “off-Broadway theater circle.” I came to the US for the first time for a three month work intership, and I walked past NYFA the very first day I was in New York City. I even have a picture of myself in front of NYFA saying, “Mom, I don’t think I am coming back,” and the funny thing is, it became true. I started researching about NYFA and I found it was exactly what I was missing in my work — since at that point my focus was mainly theatre and soap opera acting. RA: I am from Porto Alegre, Brazil. I decided to come to NYFA during my last year of adversing & marketing school in Brazil. I wasn’t excited about pursuing that career, I felt there was somehitng missing and it was one of my instructors Anny Baggiotto who had attended NYFA a few years earlier the recommended the school to me. Caroline, can you tell us how you met Rodrigo? CR: While at NYFA, I saw him working everyday at our computer lab, but we never had the opportunty to work together during school time. During my OPT time after NYFA, I invited Rodrigo to direct this film and luckily he dedicated himself entirely to the project. Rodrigo, in your own words, can you tell us what this film is about? RA: It’s about me, and Caroline’s, and a whole bunch of other foreigner artists’ lives. People who come to NYC with a dream to make it in show business, but soon realize that life here is harder than it looks. It’s about the idealized image that people in our home countries have of us because of the fact that we are living in New York City, supposedly the city of dreams. They don’t know what it means to be a foreigner in this country: working day jobs, struggling with money, having a constant fear of failure, which will culminate into us having no other option besides going back to our home countries with a feeling of defeat. It’s also about friendship. Sol’s character is sacrificing a long lasting friendship with Vicky in order to fulfill her dreams. And these ‘breaking apart’ situations happen no matter how hard you try to keep in touch with friends and family because your life in NYC is very intense; you can’t take a breath between working day jobs and pursing your career as an artist. RA: This film was a nine day pre-production process: one day of shooting and over six months of editing, which I did myself. Caroline sent me a story written by Alejandro Escaño, a writer and theatre performer from Argentina, and she told me she wanted me to DP it. She thought I had a camera and equipment, which I didn’t, and she had another director lined up for the shoot. I told her I didn’t have a camera, but I might be able to put the production together. Apparently, the other director wasn’t showing much interest, so I took over and brought my friend Daniel Rey Lozano to DP and operate the camera, borrowed sound equipment from an indie company called ‘Gradient Films’, whom I worked with before, and Caroline called Andrei Costanzi Posse to operate the sound, a Brazilian actor who lives in NYC, which I had also previously met in another project. We were only five people on set and shooting guerrilla style. Months later, in the later stages of editing, I brought in my cousin from Brazil, Saulo Baumgartner Mosna, to compose the music for us. The biggest challenge was adapting the story that was sent to us by Alejandro, which was a great story with a lot of heart, but also not written in a standard script format. It was a story written in Word, which required a lot of changes if we wanted to have any hopes of executing it as a film. The original story involved a higher budget, at least three or four days of shooting, and more time of pre-production. So with nine days until the shooting date, Caroline and I were re-writing the story and adapting it into our ‘one day’ schedule. One day of shooting seems like a lot to handle. Can you tell me how you were able to pull off a one day shoot? RA: We got a crew of reliable people who are in it for the art rather than money, and that’s why we were able to shoot for some 16 hours. It was definitely exhausting, but when you have people like that, you know are going to see it through to the end. When Carolyn and I were writing the script I was careful with how I was shaping the scenes. Like I said, the original story was quite different — more places, different style — so I tried to make it logistically viable, so that we could travel quickly between locations. What did you see in Caroline that made her a perfect fit for the role of Sol? RA: Caroline is a great actress, seasoned, reliable and she really fit the role, because just like her character Sol, Caroline is also an immigrant who is struggling to make a living here in NYC. Except maybe for the ‘killing’ visions and day dreaming, Sol and Caroline are quite similar. But the fact was that Caroline reached me with the story first. Knowing her for her professionalism and talent, I had no doubts that we could make this project work. Caroline, can you tell us a little bit about Sol and who she is as a character? CR: Sol is a struggling actress that has been living in NY for three years. She wants to sustain the image of a successful life, but deep down she is not completely proud of all her choices. The truth comes to surface when her best friend from Argentina comes to visit her. Would you two say your NYFA experience was useful in terms of being prepared for this film? CR: I was truly blessed to have a great group at NYFA. From my colleagues that had so much potential — not even mentioning the unforgettable time we had together — but also our teachers were excellent and always open to work as well. 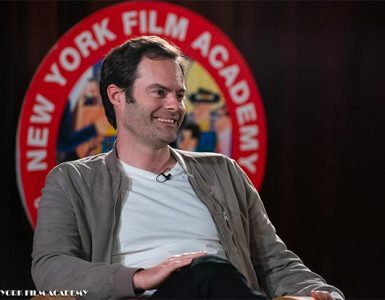 NYFA prepared me not only to shift my theatre acting experience into film format and understand the professional filmmaking process, but essentially to understand acting as a business and how the film industry works in the US. RA: NYFA played an absolutely fundamental role in my career as a filmmaker. I had no previous background in film before — coming from advertising and marketing — so everything I learned was at NYFA. I did the One-Year Filmmaking Conservatory, which was very intense and an incredible learning experience. Kudos to my directing instructor Paul Warner; he was my main source of inspiration and I follow his teachings blindingly. I definitely learned a lot from him. NYFA cultivated my passion for the art and set me on track for a career that I can no longer live without. NYFA’s program is complete. I graduated the school feeling confident about my talent and what I could accomplish in the future. Tell us what’s next for the two of you. RA: I am shooting two new short films in May – June, 2017. One is a comedy that pays tribute to NYC as a romantic and also productive environment. The other one is a drama about loss and grief that criticizes America’s support program to veterans of war. Besides that, I also work as 1st Assistant Director, so I am involved in a sci-fi short film to be shot in September, 2017. I am also constantly writing. I have six scripts in the works that are dialogue pieces primarily made for the stage and that I also intend to turn into films.